Iced coffee with probiotics, why not? Brew up some double or even triple strength coffee, chill it, then add it water kefir to create your own chilled, probiotic rich coffee. Perfect for those days when you want coffee but it is too warm out to drink it hot. Brew the coffee and grounds in your coffee maker. Let cool completely to room temperature before proceeding. Place the coffee grounds and water in a jar, cover with a lid and let sit 8-10 hours then strain out the grounds. Place all ingredients in a jar, except the ice and shake until mixed. Add in the ice and enjoy! 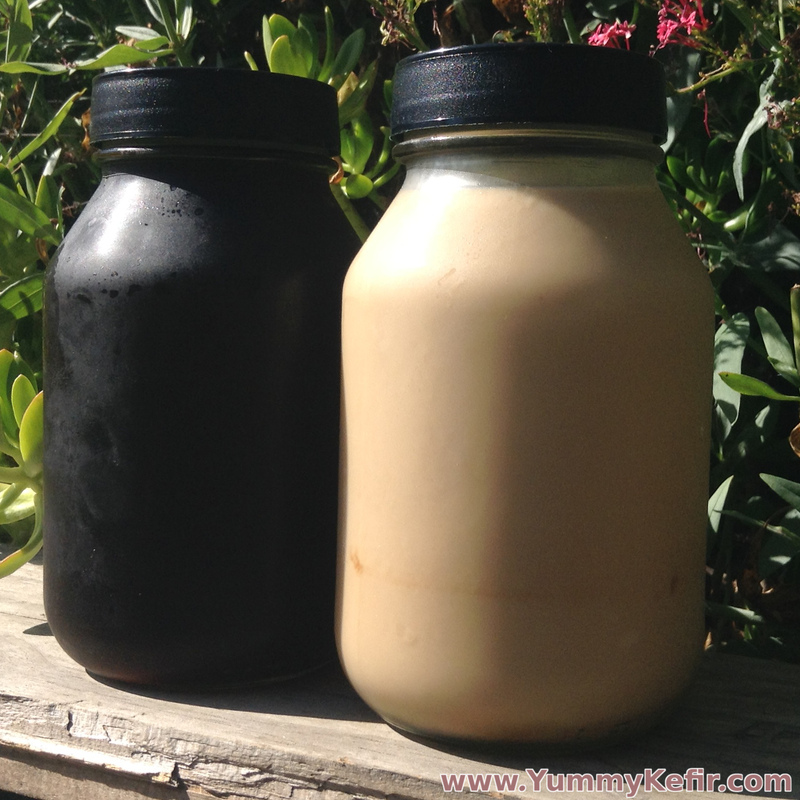 Can you use milk kefir instead of water kefir? Depending on the taste of your milk kefir, it may or may not be a good substitute. If I were to use milk kefir, I would use water instead of ¾ cup water kefir then use milk kefir instead of 4 tablespoons milk as an add in.